Thanks for another awesome season out on the trails and in the backcountry! We will see you all again when the snow starts to fall in 2019! 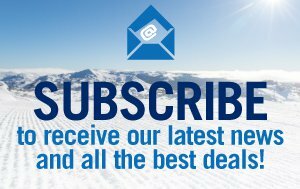 Perisher has partnered with Weatherzone, Australia's leading weather forecasting website to provide you with the most reliable and accurate weather forecast for your snow holiday. Check out the 14 day forecast. The Wilderness Sports store in Jindabyne is open from 9am - 5pm, check out the latest mountain adventure gear! Just pop over this-a-way.